Read the article about this car here. 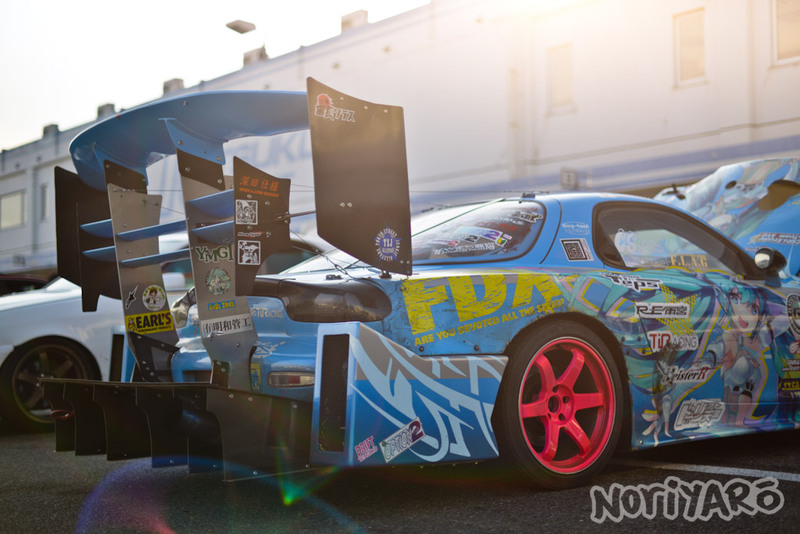 Most people who own a modified car have thought at one point that it would be nice to build two of them, one for the street and one purely for the circuit. Takuya Takahashi has done just that. 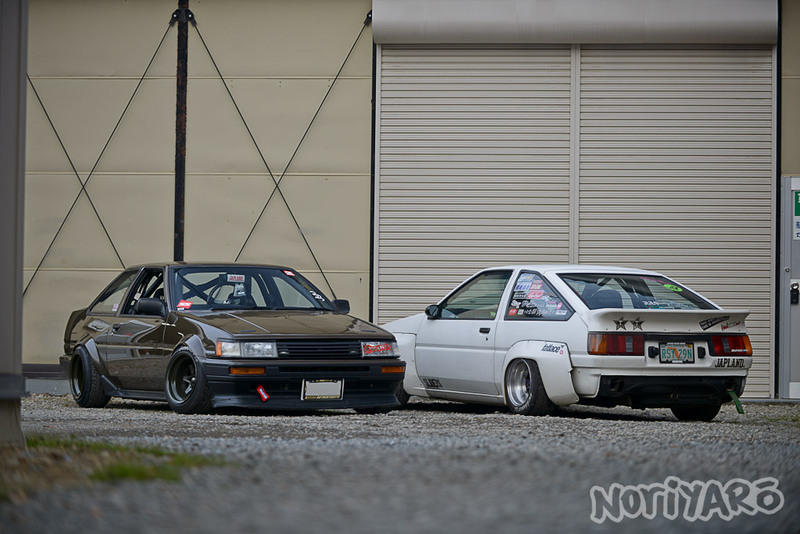 Let’s have a look at his matching-opposite pair of AE86s. 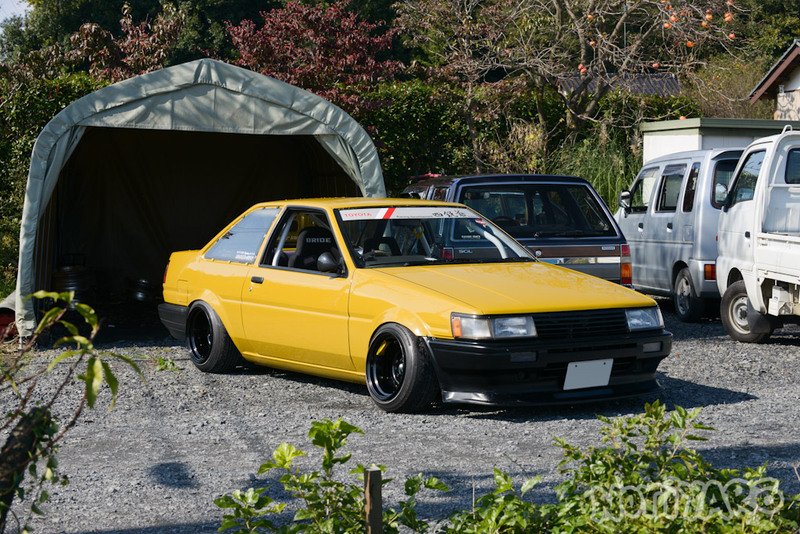 You might have seen the AE85 I picked up recently in one of the posts below this one. Check out the daily-driver that belongs to the guy I purchased it from! Even though there’s a little bit more interest in Daigo’s new R35 project car right now, let’s have a little look at his current D1GP JZx100 Mark II when it debuted at the D1GP at Ebisu Circuit. 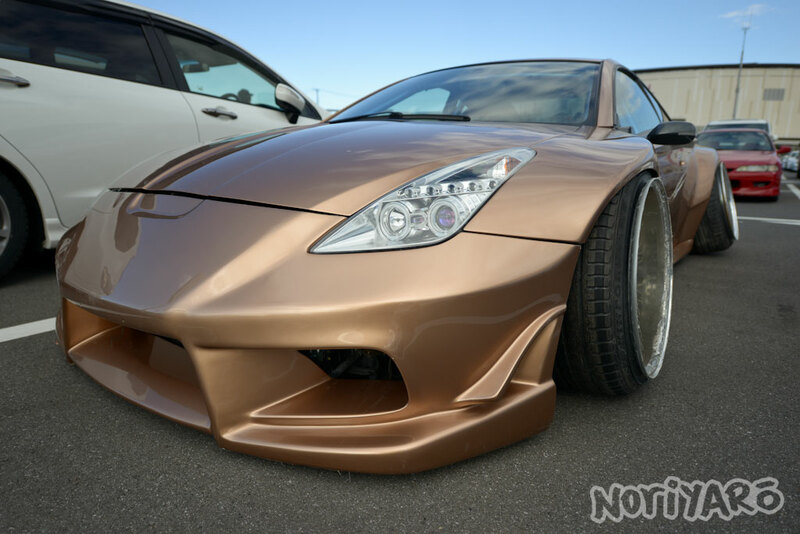 Believe it or not, this is a drift car. Read on.